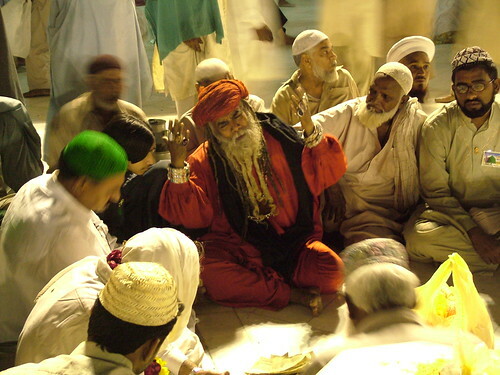 “the sufi is the son of the moment.”- sufi proverb…. a sufi lives in the NOW. for a true sufi there is no past, present, future, day, or night. a sufi lives in a state beyond time and space in oneness with the Divine. a sufi lives in the 4th chakra-the heart-the closest place to find Allah. a sufi lives in the ocean of LOVE. in fact, a sufi is one HU has died in the ocean of love. a true sufi practices the alchemical science of taskiya tul nafs (purification of the soul). the life of a sufi is a life of remembrance, love and service(kidma) to God. a sufi is a worshiper of the Divine Light of Allah that dwells in the hearts of all living Beings. a sufi only see’s GOD. for a sufi there can be no other reality or existence other than GOD. for a sufi ALL religions are TRUE!!! a sufi can see the inner esoteric truth of all religions. a sufi is a christian to a christian, a jew to a jew, a hindu to a hindu, a buddhist to a buddhist, and a muslim to a muslim. the first day eye met my beloved cheikh, Cheikh Betcio, in senegal he said to me “the only one closer to Allah than you, is the one HU loves Allah more than you.” the founder of our sufi order, Cheikh Ahmadou Bamba, wrote in one of his sufi poems, “my religion is the religion of LOVE.” love love love. the way of the sufi is love. love is a wave, that takes the traveler to its source, the Ocean, Allah. just as the wave and the ocean are one, love and Allah-God are ONE. 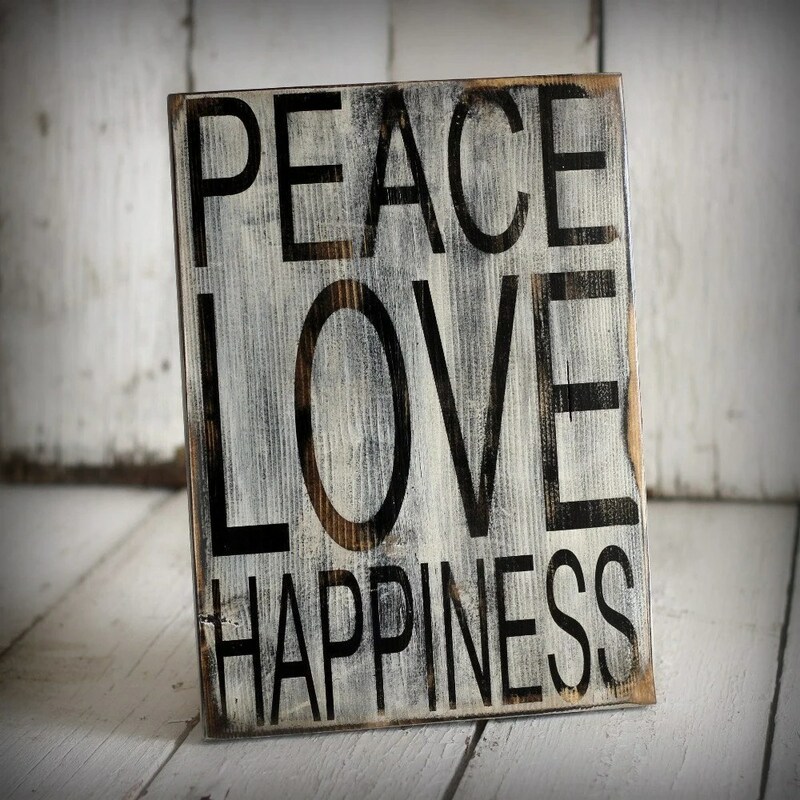 and bring peace to the hearts of your family, OUR family. Eye have seen the Diamond Jewel in the Lotus. It is all empty. Crystal Clear Light. In a flash. Piercing the Veil of the mind. Thunder in Silence ! In the blink of an eye. 1000 lifetimes flashed. Eye can see as if eye never used my eyes before. If only the pen could write. If only the words could say what the Diamond Jewel in the Lotus is. Sometimes when eye walk it feels as if the ground is not there. It is all a Divine stage play. You are the playwright, and all the actors in the dream of your life. After writing the play, you went to sleep and began to dream. The dream became your life. Your life became the illusion of a false you that only exist in your mind. You created a supporting cast of parents and society that would support you, the main character, in the illusion of your life. There is no one in the play that is not you. You are the only one that exists. Being sound asleep you have mistaken your dream of illusion for a life of substance. In fact just as the images in the dream are empty, you and your illusion of life are empty. Eye saw myself today in the form of a Buddhist Monk in an all orange robe. The monk sat in stillness as eye recited my sun and moon zikr. When the monk stood up to walk away, eye noticed we were wearing the exact same shoes. As he walked directly in front of me, eye experienced time without time. Space without space. Empty. A flash of emptiness. Eye entered the state of the Diamond Jewel in the Lotus. What is the Diamond Jewel in the Lotus? these are the first few paragrahps of my new book “Diamond Jewel in the Lotus.” this short text is a modern day sutra for the transformation and elevation of consciousness. this text is an operative text. you may ask what does that mean? the nature and designe of this text is to raise the consciousness of all who drink of its elixir! this text should be studied 1000x! for the best results/effect it should be read outloud once a day for 40 days. the entire text is available at http://www.786sufiwisdom.com. my intention was to wait 7 years befor publishing it. but spirit revealed to me that the time is NOW…………. Jokingly or seriously, don’t lie, because once your tongue avoids lying, Allah the Most High enlarges your chest and purifies your understanding and ilm (knowledge). That person becomes as if they don’t know what a lie is. Everything becomes truth to him. When he hears other people lie, the mureed should pray for them not to lie. The disciple should avoid cursing or harming humans and other created beings (from bugs to Jinn) because avoiding to curse and harm is the character of the good and loyal friends of Allah. If a person is like this, then Allah protects him or her and their end will be good. They will reach to a high level in Allah’s presence. Allah will protect them from being destroyed and protect them from harm. Allah rewards this person with being a blessing to human beings and close to Allah’s essence. The disciple has to keep his promise at all times unless he has a very good excuse. He must avoid not keeping his promise because not keeping a promise is in the same class as lying. As long as the servant of Allah tries to keep his/her promise the doors of generosity and blessings open to him/her. Loyal lovers of Allah love these people and they get a high station in Allah’s presence. It is better that he avoids the habit of making promise, so that he may not be guilty of the breach of promise. Even though a person has harmed or wronged him/her, the disciple should not pray for harm to come to him or curse him. Even if the mureed is wronged, he/she should not damn anyone, whether by word or action. The mureed should put up with this and be patient for Allah’s sake. This virtue takes the owner to high stations in this world and the hereafter. Such a person will be loved by far and near ones. The disciple should not blame other believers with attributing partners to Allah, with disbelief or cause trouble between people. This attitude is close to mercy and assists the mureed to reach high spiritual levels. The disciple should not sin inwardly (in the heart) or outwardly. He/She should avoid eating things that are not halal and protect all the organs of his body from sin. This state is the best achievement in this world that a mureed can cultivate for the eternal life. The disciple should earn his own livelihood and not be a burden to people who are independent of him/her. He should bear not only his own burden but also that of other people. Because of this virtue, the fear of Allah will make their worship complete and honorable. The disciple /dervish must not or should not expect anything from people or desire what belongs to others. He should be unmindful of things which he needs, for to have no need is the mark of honour and the distinguishing trait of piety of the pious. The biggest honour and wealth and the highest level is to put one’s whole trust in Allah only. Only with this attitude can the dervish be pious. Worship matures with this attitude. This is the state and action of one who give himself to Allah. A disciple/dervish should not, either truly or falsely, intentionally or unintentionally, by mistake or on purpose take Allah’s Name in vain or swear by the Name of Allah. The disciple/dervish should take to hospitality and humility. With humility, the dervish reaches high levels of spirituality and stays at this high level. This is the base of goodness and the highest level of goodness. Because of this quality the lovers of Allah stay with him in troubled times. The Walis (Saints) visit him in the unseen and aid him in his difficulty. Humility is seeing everybody you meet as higher than you and thinking that they might be closer to Allah than yourself. “This person has worshipped Allah longer than I have. 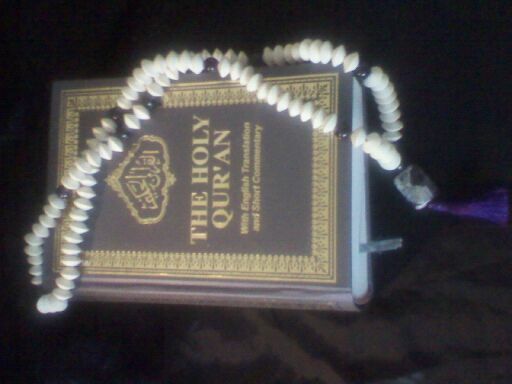 “This person rebelled against Allah because he was ignorant; I rebelled against Allah knowingly. If a disciple acts with humility like this, then Allah the Most High saves him/her from hardships and makes the mureed reach to the levels of those who give advice for Allah’s sake. He will be the closest friend of Allah the Most High. This text is for the transformation and elevation of conscious. To know the Self is to know God. 786… You should be God by NOW!!! on the mystic path you will find some travelers who are completely INTOXICATED with God!!! 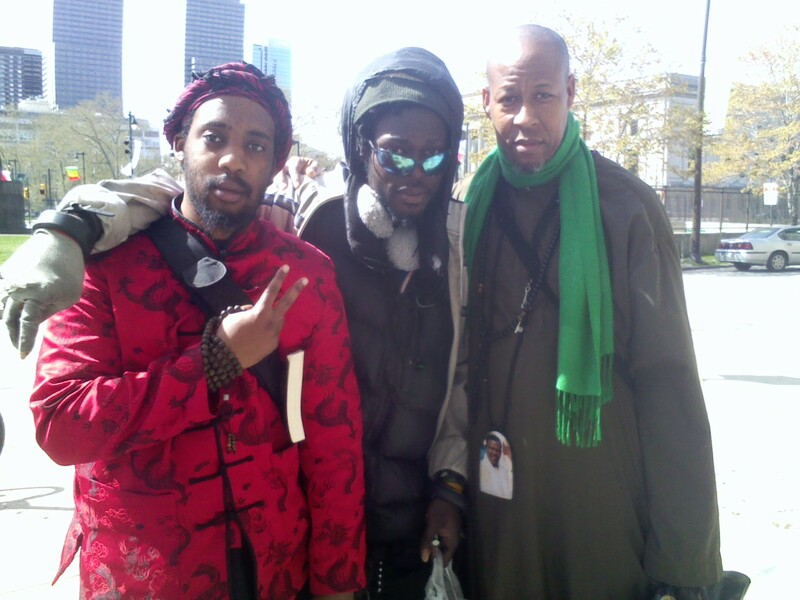 this is the case for one of my teachers named Cheikh Muhaiyadeen in philadelphia. he is most definitely “not” here. one day he was seen riding his bike in west phily and a friend of mine asked him “where are you coming from Cheikh Muhaiyadeed?” my friend said the cheikh looked at him smiled and said “eye just came back from mecca!” the next time eye saw my friend he said “your teacher Cheikh Muhayadeen is definitely INTOXICATED. one day when eye was talking with Cheikh Muhayadeen in the kitchen, his mood dramatically changed. he looked at me and screamed in the loudest voice possible “you should be GOD by NOW!” after that he put his coffee cup down and walked quietly into his room without even saying salam. his words had a powerful effect on me. that night eye could not sleep one bit. eye thought about all of the experiences eye have had on this path, and all the mystical teachers eye had learned from. finally eye came to the conclusion that, yes eye should be God by now. eye have been given all the keys to Divinity from my teachers/masters. eye have see Allah walking on the earth. eye have been in the heavens. so what is my problem eye thought????? time waits for no one. from that day forward eye decided to recommit myself to the path. the path is very long and arduous. to travel the path a seeker must pack his/her bags with provisions/knowledge for the journey. the provisions for the journey are: tawheed-knowledge of the Oneness of God, –akidah correct belief in God, fiqh-understanding the laws of the way, and tassawuf– the science of perfecting the character and purifying the soul. the true Self is God. it is the false self that dethrones the King and takes over the throne. the sufi path is the way of Self/God Realization through the practice of the esoteric science of islam. there are many esoteric paths that lead to Oneness with God. what is most important is that the seeker, chose ONE and stay committed to that path. all of the main religions have an esoteric doctrine. from the outside the religions look different. from the inner view, inside, all of the teachings are for God Realization. what can be difficult is finding a true master to take your hand and guide you on the PATH…. How can I be a mere body when I am Brahman, the Absolute? and people repeat this mantra ….. day in ….day out …. thinking I am that only…… for years all together …..
in the name of religious or spiritual practices …..
without any confirmation coming from within…..
so then what is a real path ? so all humans has a equal possibility to be……. that only. research that possibility….. with sensitive prayers …. so what is a sensitive prayer? every breath should be a prayer and thanks to cosmic spirit. GOD , ALLAH , OM, or name of our choice…..
identity….. then only we can say in a silent wishper…..
(c) ram0ram …….. freedom to right copy and share.